Try it 100% Risk Free - Full 30 Day Money Back Guarantee, including S&H. 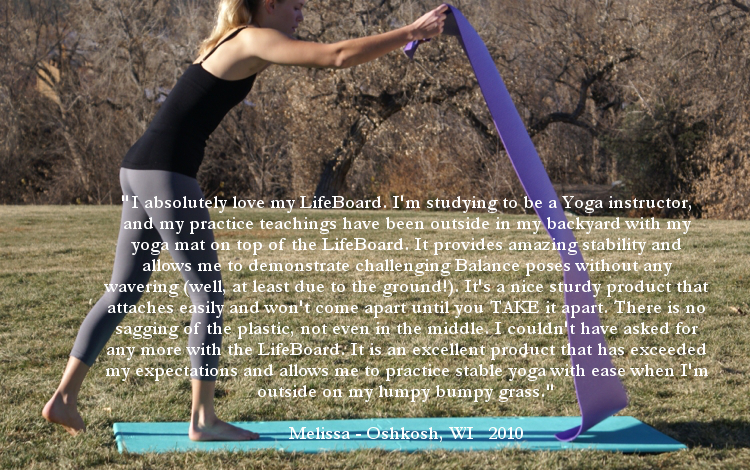 The LifeBoard provides a portable, firm, non-slip floor for enhanced yoga, Pilates or ballet exercise. 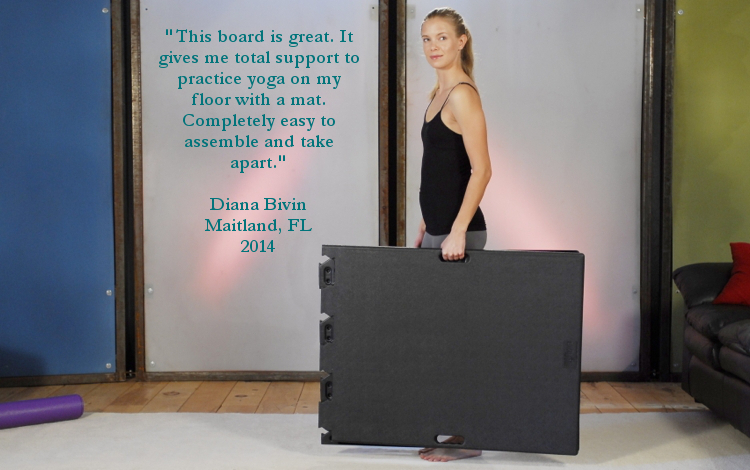 Place the LifeBoard on just about any surface, then put a standard-sized yoga mat on the LifeBoard and enjoy your practice. The LifeBoard is durable, portable, affordable and made of recyclable material.